In our odds to win the NBA championship that we posted earlier, you will see that Golden State are heavy overall favorites at -200. The next team in line is Milwaukee at +500. Golden State is an enormous -20000 favorite to beat the Clippers in the first round. This is the series price record at many sportsbooks. Maybe fancy a ten-dollar bet on the Clippers to win $500? Stranger things have happened. And its only ten bucks. 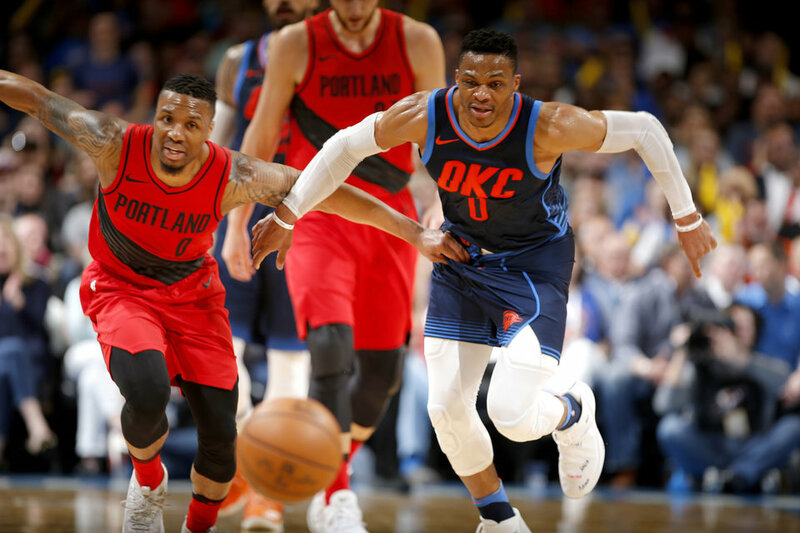 The Thunder/Blazers series looks to be the most evenly matched and the odds reflect that fact. If you can throw out the assumption that the Warriors are going to win it all, there are some great series here and some really good basketball will get played. Or, you can place your futures bets, hibernate for two months and come back just in time to see which team is crowned champion.